800-654-9399 | 805.523.0004 | 3dsystems.com/gibbscam Increase programming speed by up to 30% with the new user interface! 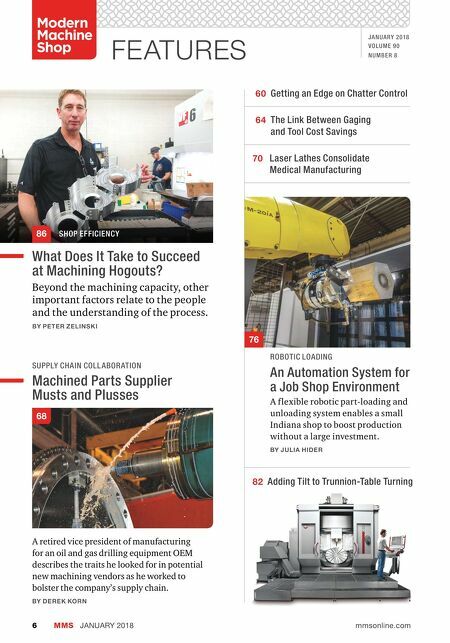 Designed for machinists, 3D Systems GibbsCAM 12 puts the tools you need right at your fingertips, boosting your productivity. 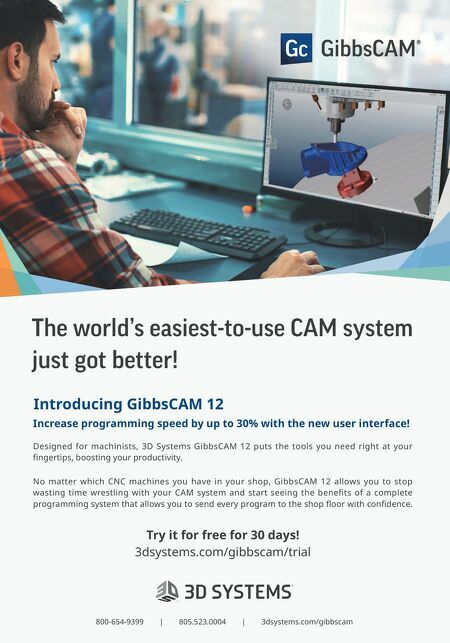 No matter which CNC machines you have in your shop, GibbsCAM 12 allows you to stop wasting time wrestling with your CAM system and start seeing the benefits of a complete programming system that allows you to send every program to the shop floor with confidence. Try it for free for 30 days! 3dsystems.com/gibbscam/trial Introducing GibbsCAM 12 The world's easiest-to-use CAM system just got better!